in general polyurethane is the most accurate, strongest and cleanest die material on the market for dental work. 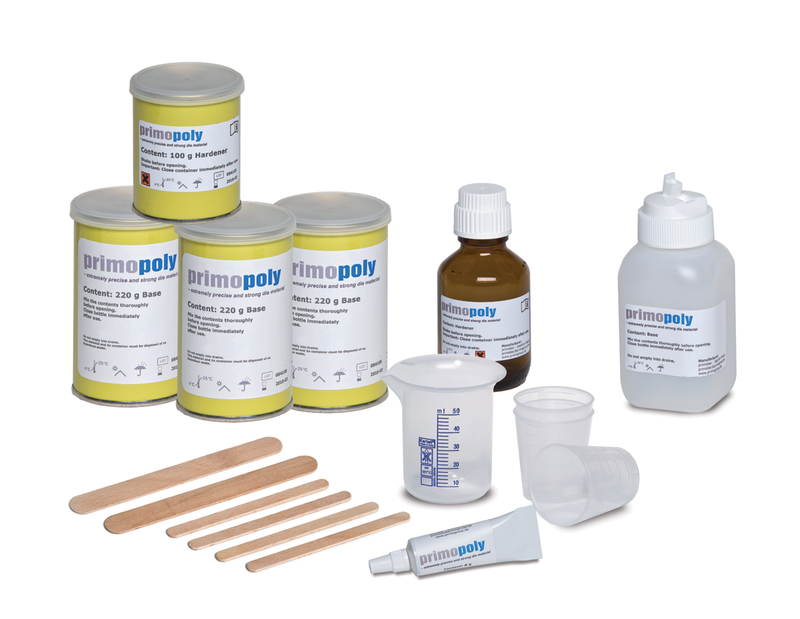 high quality dental epoxy and polyurethane brought to you by primotec. For polyether and polyvinal impression materials spray “Primopoly release agent“ onto the impression and let it dry. This will prevent any sticking to the impression. Primopoly is a polyurethane die material. In general polyurethane is the most accurate, strongest and cleanest die material on the market; much more so than traditional die stone and epoxy.